In the movie Avatar, Jake Sully arrives in Pandora by virtual reality pod and travels through the fantastic landscape on a flying mountain banshee and his direhorse. We earthbound humans hoofed it on foot, up and down tens of thousands of stairs and along miles of cliffside trails to see the sandstone peak geoforest in Hunan Province, China, that inspired the film's director. 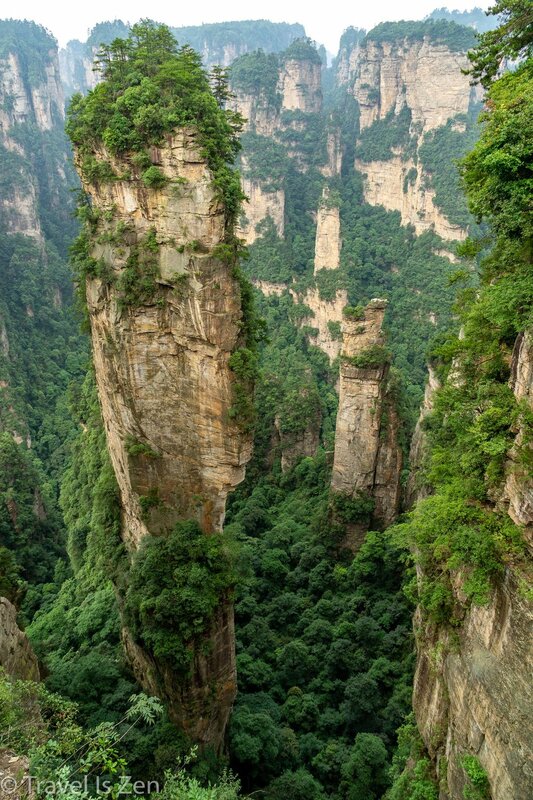 Zhangjiajie National Park features over 3,000 free standing karst peaks soaring to nearly 1,000 foot heights. When clouds gather along the river valley below, they can look as if they are floating, as depicted in Avatar. It's one of the most popular tourist areas in China and accessible to everyone via buses, cable cars, an elevator, and a monorail. Although the park spans 150 square miles, it can get pretty crowded...except on the hiking trails. Ahhh! Solitude! We spent three days hiking the various scenic areas, averaging 28,500 steps (yes, "steps", as in "stairs") per day, both up and down and all around the park. Then we enjoyed a rainy day of rest and a foot massage to soothe our aching feet and calves! Trivia tidbit about Zhang 张 Jia 家 Jie 界: Zhang 张 is a common Chinese last name, Jia 家 means house, and Jie 界 is boundary/area. It is said that this area 界 was the home 家 of famed strategist Zhang 张 Liang, around 0 A.D. Zhang fled here in fear of Liu Bang, the first emperor of the Han Dynasty, and spent the rest of his life as a hermit in these mountains. 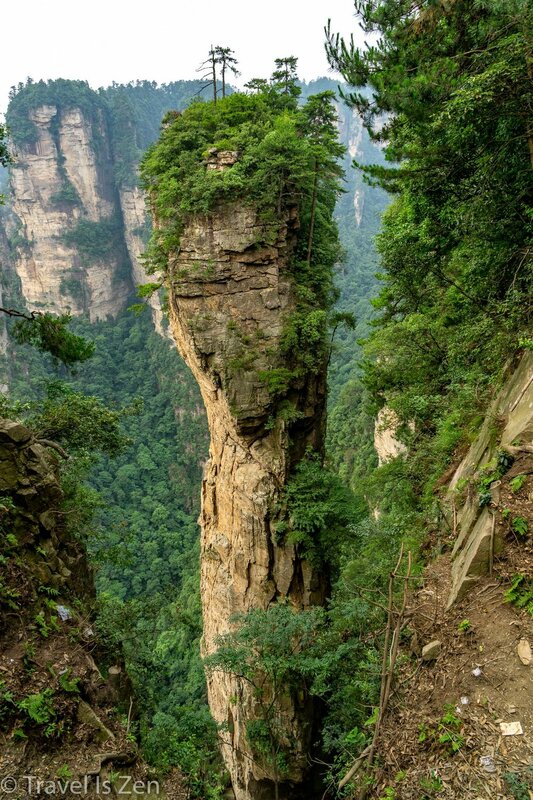 Are you planning a trek in China's Zhangjiajie National Park? There are some terrific hiking trails in the park, if you know how to get there and where to find them. We put together a post with our three day hiking itinerary, along with maps provided by our guest house owner (and former park guide), Wally. Hope it's helpful!